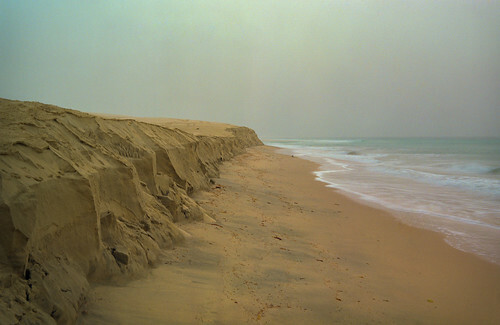 Agfa Record III with Kodak Portra 800 negative film. Earlier you saw the same scene from my plastic fantastic: the Lomography BelAir X 6-12. This is how the scene looked through the Solinar lens of my Agfa Record III. It is by no means the crispy sharpness of a modern lens. However, it is miles sharper than the plastic lens on the Lomo. It is that classic vintage lens "soft sharp". I like the way the shutter speed gave just the right blur to the waves.